Rose Flower is one of the most popular and cherished flowers all around the globe. Rose Flower is highly aromatic and captivating. We supply Rose Flower in various varieties, sizes and colors. We are reckoned as one of the prominent exporters of best quality Rose Fluorescents. Our rose fluorescents are ideal raw materials for manufacturing juices, sharbat, perfumes, flavorings and many other applications. We provide our clients freshly processed rose fluorescent sourced from finest gardens and growers in the country. We are the leading exporter and supplier of a fresh range of Jasmine Flower that are widely popular among clients owing to the charm and fragrance. Our shipment mode helps us in delivering jasmine flowers within the stipulated time period. Leveraging the vast industrial experience, we are engaged in offering bulk of Madurai Malli which is basically used for decoration purposes. This Madurai Malli is very attractive which is highly appreciated by clients. Also, we keep the various demands and requirements of the clients in our mind while offering this Madurai Malli. We take pleasure in introducing ourselves as leading firm by offering Fresh Rose. 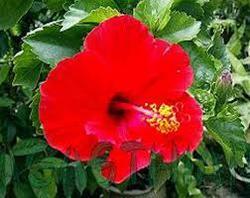 We provide Fresh Rose Flower in India and abroad. The entire process right from procurement to preservation to packaging is managed by our professionals so as to deliver top-notch Rose Flowers. Being the well-distinguished companies in the market, we are into offering Fresh Red Rose.